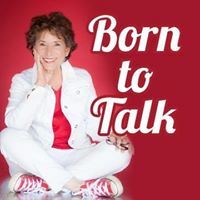 Thank you South Bay Stories Show guests, Producer Jim Mueller, and Storytellers John Gran, Judy Francis and, Russell Boschetto, for joining me today on a special edition of the Born To Talk Radio Show Podcast. Now add Jim’s motto of his Stories Show: “True Stories of the People” and “When the community hears the stories of the people, the community draws closer.” As you listen to the podcast, you will understand why he loves what he does in bringing stories alive on stage. This has always been Jim’s goal as he gathers the cast together for his 5th production of the South Bay Stories Show. 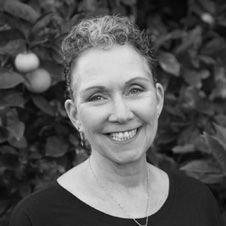 Today’s show gives you a peek into John, Judy and Russell’s stories along with why Jim takes pride and joy in bringing his production together for the community. Music Tells a Story, Too! 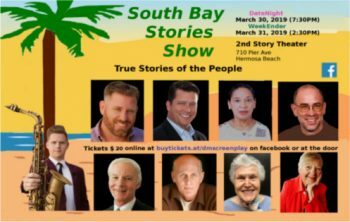 The beauty of the South Bay Stories Show and the participants over the years has been an interesting story onto itself. As Jim mentioned not only will there be 8 speakers with stories but each year there is also a musical storyteller. Music tells a story too. This year’s music storyteller is Alex Hahn, a saxophonist, and composer. All of my guests share a little bit about their stories today, including John talking about being a voice in his community as a City Councilman, Judy talking about race relations, and Russell talking the organization his son started to feed the homeless and provide a smile to an ill child in the hospital. You will see why I find this show inspiring and entertaining. There is a true community spirit.